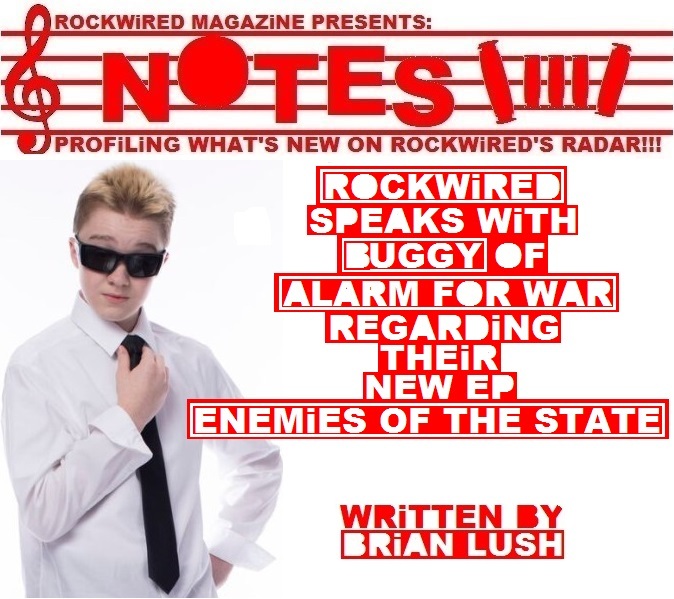 "ROCKWiRED NOTES: ALARM FOR WAR | BUGGY OF ALARM FOR WAR TALKS TO ROCKWiRED ABOUT THEiR BRAND NEW EP "ENEMiES OF THE STATE""
hen I spoke with BUGGY, the thirteen year old rapper fronting the band ALARM FOR WAR, it was the 16th anniversary of 9/11. 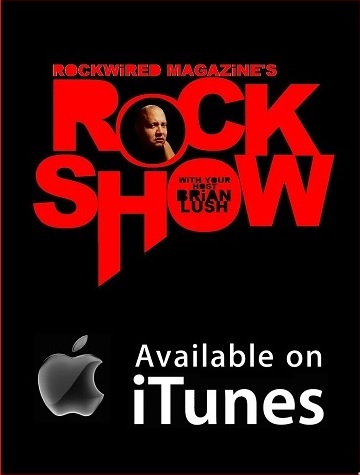 I have gotten used to feeling old when I speak with some of these bands and artists that have been profiled on ROCKWIRED throughout the years, but there was something that unsettled me about this young subject. BUGGY, a kid from Crystal, Minnesota, never lived in a world before 9/11 so the chaos and the dysfunction that he addresses on his rambunctious debut EP ENEMIES OF THE STATE is coming from a very real place. 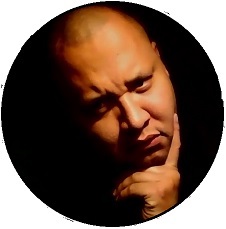 What better way for a young man to vent his frustrations and deliver a message of "hope and truth" than the blistering sound of rapcore metal? Is this beyond his years? Could be, but in an age when many believe that the youth of American grow up too damn fast, maybe an EP like ENEMIES OF THE STATE has dropped at just the right time. Engineered by BRIAN BART (LOGIC RECORDINGS), edited and mixed by GRAMMY winner JR. McNEELY and mastered by BRAD BLACKWOOD, ENEMIES OF THE STATE showcases the band's potent musical chops and BUGGY's lethal sense of rhyme and vocal prowess. With a starting point like this, BUGGY's career could go anywhere. Let's just hop that the young man's idealism stays intact. 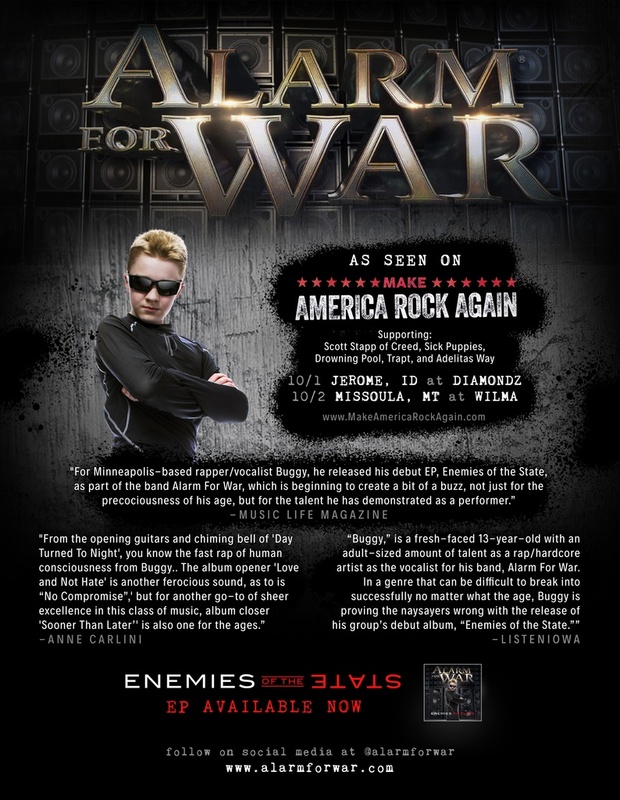 ROCKWIRED had a chance to speak with BUGGY over the phone regarding the music of ALARM FOR WAR and their new EP. Here is how the interview went. 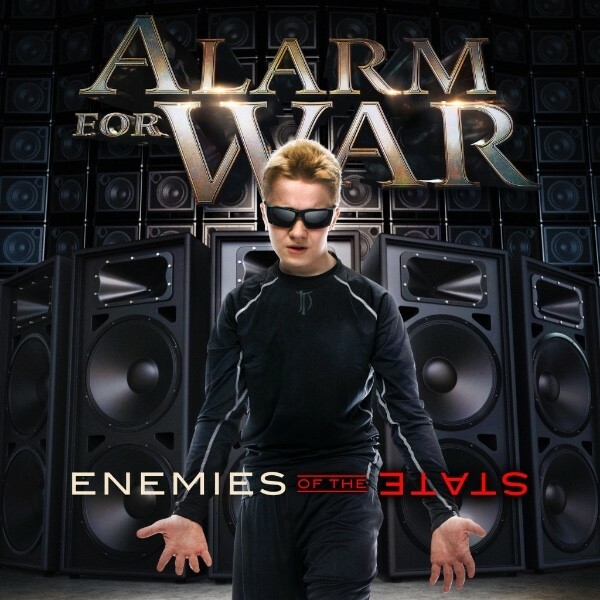 ALARM FOR WAR is on the verge of releasing it's debut EP ENEMIES OF THE STATE. Now that all of the work that has gone into it is behind you, how do you feel about the finished work? I was twelve years old when I recorded the first half of the EP and thirteen when I recorded the other half of it. Being in a recording studio, I wasn't exactly super-nervous but I didn't know what to expect. With all of the work behind me now, I feel it's a great product. Nothing on it is done second rate. It's all top notch. When we were in the studio, I remember working on one part of it and it wasn't coming out right so we went over for about forty-five extra minutes just to make sure that everything was perfect. If you like RAGE AGAINST THE MACHINE or ALICE IN CHAINS, you are really going to like this EP. In fact, it's kind of like RAGE AGAINST THE MACHINE on steroids. There is nothing second rate here. Anyone who likes rap metal is really going ot like this one. And who all helped you guys behind the recording console for this album? The album is pretty much made up by the band. It all came about from all of us deciding that we wanted to add this and add that. As far as the lyrics go, that was me collaborating with the whole band. We all came together and said, let's put some singing here and put some rapping there. Let's take that out and put this in. That was how that all came together. And talk about this band and what it is you think everyone brings to the table that makes this thing work. Well the first thing, obviously, is that this is a very youthful band. I'm thirteen years old and the rest of the band is either fourteen or fifteen. We've got a great team around us. We've got a great bass player and the guitar player and the drummer are both really good. Despite their ages, they are really seasoned musicians. I'm the new guy. We all make a great team. Working with these guys is awesome. CHECK OUT THE MUSiC ViDEO FOR DAY TURNED TO NIGHT!!! And talk about how a band like ALARM FOR WAR got off the ground. When I was 12 years old, I was in the studio working on a separate project when this seasoned singer noticed that I was singing right on cue with what he was doing . I was just sitting there on the couch and this singer was like "We should get this kid to come in here and do back ups with me." So I got in and did the backup vocals and I thought it was cool. After that, I was asked to do a test run in the studio not knowing what to expect. So I went in there and I had all of these people asking who my influences were. The truth is, I don't have an influence. It was just how it came out. I wasn't trying to sound like anybody. After the EP was done, people told me that I sound like ALICE IN CHAINS and PANTERA and stuff like that. I didn't know what any of this was. I actually had to look these people up. I didn't know who they were. After that, we laid down the rapping for the tracks. It all went well and as they say the rest is history. And what inspired the songs on this EP. Where do they come from? The songwriting happens in all kinds of ways. There is one song on the EP that I'll tell you about. It's called DAY TURNED TO NIGHT and there is a story behind that song. The song is about this kid named ZACH who was hooked on drugs and was told by everyone that he knew to stop or one day it was going to cost him his life. And then one day after having huffed some paint in the bathroom of a drug rehabilitation center, he died. ZACH had been warned not to do it. When people ha gathered around his body, someone shouted "Where's your God at now?" The band is focused on the youth of America today. These days it seems like the youth are subjected to everything and protected from nothing. They are thrown a lot of stuff. With our music we are giving people the other side of the spectrum. We're giving them light and spreading message of hope and truth. As musicians we feel it's our job, unlike some other people, to spread a good positive message. Have there been any responses to the band and it's music that have surprised you or that you didn't see coming? It's kind of cool because I wasn't trying to sound like anybody. When people hear the music and have a look at me they're like "Wow! He's thirteen years old! This is impressive! I really like the band!" As a band we have both singing and rapping, so on a daily basis through FACEBOOK, we get comments saying 'I don't like the rapping but I love the singing.' or 'I don't like the singing but I love the rapping.' We are winning people on both sides. If they don't like one thing, they like another. The responses have been great and recently we've turned a lot of heads doing our first show in Illinois. That was a blast. Are there any plans in the works to take this music on the road? Our people are working on a setting up a tour and hopefully we'll be on one very soon. We're just going through deciding what would be the best band to tour with. What songs off of ENEMIES OF THE STATE stand out for you the most and why? One of the songs that stands out for me is CONTROL OF MY MIND. I just really like the aggressive rap. You can find the video for it on YOUTUBE. I like the aggressive rap in the beginning and then the ALICE IN CHAINS approach of it in the center of the song. So I would have to say that CONTROL OF MY MIND and DAY TURNED TO NIGHT are my favorites out of the whole EP. 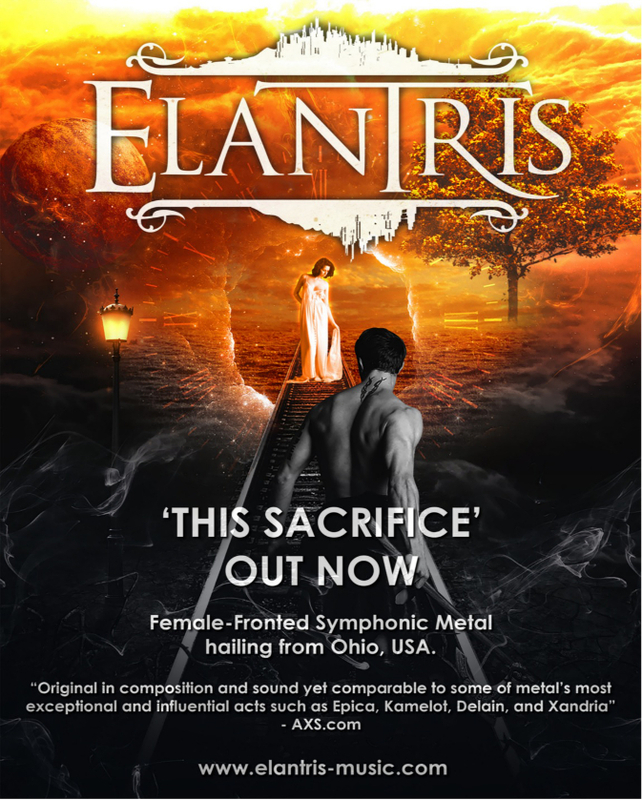 With this EP behind you, what is next for ALARM FOR WAR, musically? The next thing for us is to keep building ourselves upp. Every band starts out in small places. 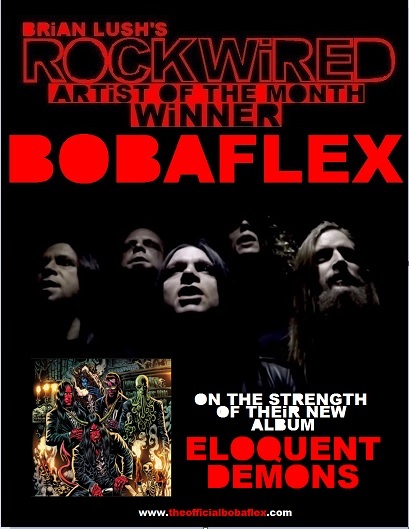 e re just going to keep winning peole over until we're doingthe bigger shows and really start reaching the masses with the ALARM FOR WAR message.